In 1812, over two hundred years ago, those living here in Saint Charles, in the Saint Charles District of the Territory of Louisiana did not know that the United States had just officially gone to war. The Territory in 1812 was was virtually uncharted, stretching all the way to the west from the Mississippi and everything to the north of the Missouri. Without today’s internet, blogs and tweets, the residents were totally unaware that the House of Representatives had hotly debated the issue (behind closed doors) ending with what would become the closest vote for war in our Nation’s entire history. For most of the United States, this second war with the British would be over the issues of trade embargoes and the impressment, the forced service of over 10,000 of our men into the British Navy. These issues were of no matter here. For those living here on the frontier this was the “Indian War” which had really begun with the purchase of the Louisiana Territory in 1804. The British used the Indian tribes, inciting them to slaughter because of our expansionist activities. Quite a deal had been cut for the purchase because France needed the money for their fight with the British. Here we were far outnumbered by the Indian tribes. In June of 1805, the Federal government established Fort Bellefontaine, the first American fort west of the Mississippi River. A young man named George Sibley served as the factor’s assistant. John Johnson from Tennessee, an avowed Indian hater, settled his family east of Portage des Sioux, about fifteen miles from Saint Charles. The area was growing with families like Boone and Zumwalt, mixing with the earlier French and Spanish, like Saucier and Pujols. In 1808 General William Clark, had asked for volunteers to accompany him and the Militia, under the command of Eli B. Clemson, to establish a fort and factory. Young Nathan Boone who worked with James Morrison at the Boone’s Lick knew the region well would become their overland guide on what would become the Boone’s Lick road. The fort’s site had been chosen by Lewis and Clark years before. Young George Sibley became the administrator, known as the “factor”, as the government hoped this would further friendly relations with the Osage, the largest tribe. 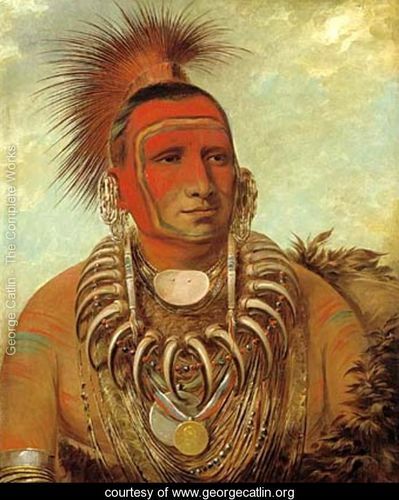 Nathan Boone negotiated a Treaty with the Osage there which would cede nearly 200 square miles of land between the Missouri and Arkansas River to the United States which soon became “all claims to land north of the Missouri River” another 20 million acres, for an overall total of 50 million acres. The U.S. Government thought this Treaty would put an end to all of our Indian problems. But much more would be needed to co-exist with the Native Americans. KaKaGiChe, a Sauk warrior had killed a trader at Portage des Sioux, Antoine Le Page. Two Iowa braves, White Cloud and Mera Naute killed Joseph Thibault and Joseph Marechel. In November, Governor Lewis gave Orders for 370 men to organize at St. Charles. They were to arm and equip for actual service, to be the militia of the Territory of Louisiana. Each officer of that detachment was ordered to furnish himself with a sword, uniform coat and hat; non-commissioned officers were to furnish themselves with a good rifle, tomahawk, scalping knife, horn and pouch, 24 rounds of ammunition, a blanket and a knapsack. All of this created a false sense of peace, while the threat of attack was within a half day’s ride from St. Charles. Settlement in the territory was sparse, and in clusters. Attacks by the Sauk, Fox, Potowatomis and Iowa increased. They stole horses from the settlers and murdered four members of Stephen Cole’s party when they set out to retrieve them. When St. Charles was incorporated in 1809 (the same year as St. Louis) the population of the entire Territory was 20,845 with just over 3,500 residing in our District, and a few hundred in St. Charles. Indian attacks were increasing. A newspaper report read “The family of Mr. Neal was killed in the district of St. Charles on the bank of the Mississippi by a party of unknown Indians; it was believed that the mischief was done by a party of Illinois … I saw the bodies, nine in number, principally females. “ Immediately after… Governor Howard sent orders to Col. Kibbe in St. Charles, who commanded the St. Charles Militia to call out the portion of the men he had held in reserve, to march at a moments notice.” These troops were waiting for just such a moment. War was official on June 18, 1812. Callaway’s Rangers included settlers from Howell’s Prairie, Pond Fort, Femme Osage and the Boone Settlement. Companies were raised by James Musick at Black Walnut, Robert Spencer at Dardenne, John Weldon of Dardenne Prairie, Benjamin Howell out on Howell’s Prairie, and Christopher Clark in Troy. At St. Charles the settlers gathered at Griffith’s farm, Johnson’s farm at Portage des Sioux, Zumwalt’s Fort (O’Fallon), Kountz’s Fort (Cottleville), and waited. Where ever they could, settlers created forts out of their homesteads or erected house forts. Where there were several families, cabins were erected and stockades connected them, with wells dug, protecting their livestock as well. Is YOUR FAMILY A Veteran of the War of 1812?